Every year Leiden’s hidden treasures open their doors for Open Monument Day. Many of the historic buildings that would never normally be open to the public were available to view for no admission charge. 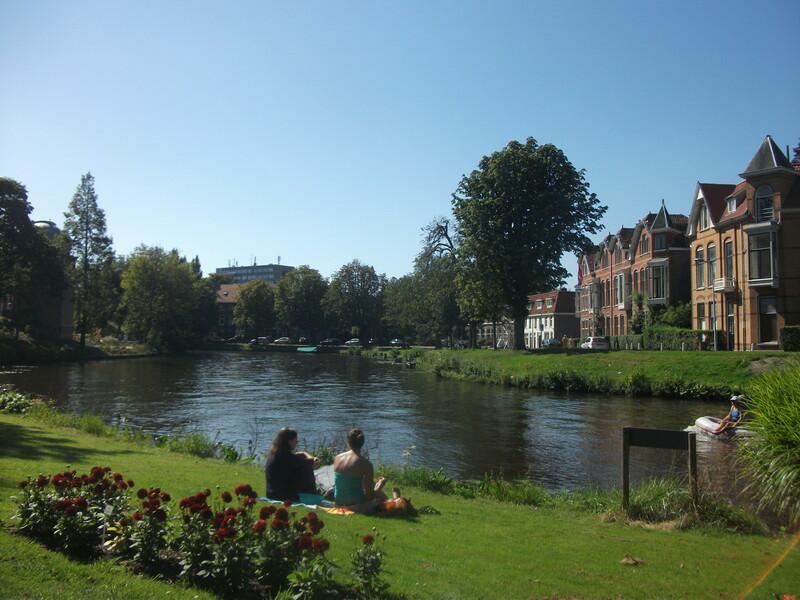 So on the Sunday I decided to see as many as I could in only a few hours, rounded up the posse (being my boyfriend and his little brother) and cycled off around beautiful Leiden. The first place we visited was Pieterskerk, though it is much closer to being a cathedral than a church. I’ve wanted to visit Pieterskerk for some time but I’ve never seen it open so this was an opportunity I couldn’t miss. The church was founded in 1121 but its present state is 16th century. 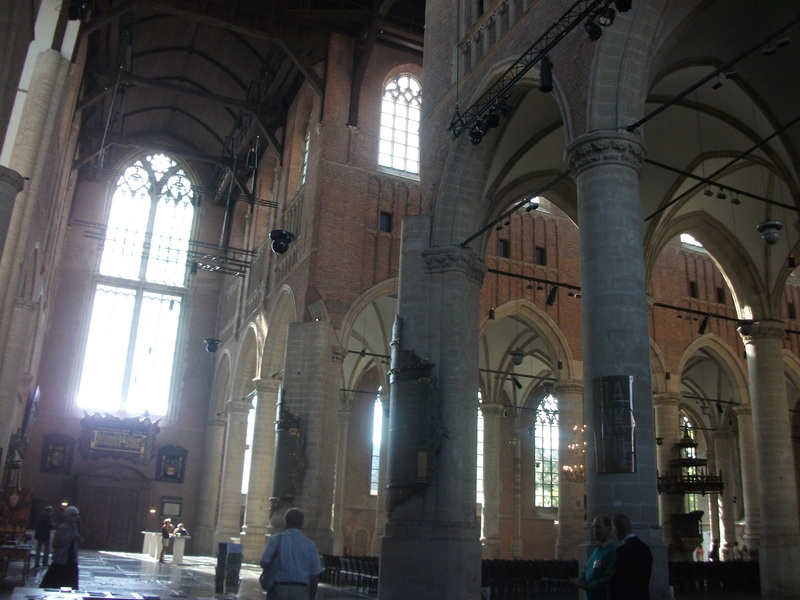 Many of the historic events that have happened in Leiden have been celebrated in this church. I wasn’t disappointed by what I found inside. It really is very beautiful; simple and characteristically Dutch Protestant but also in a gothic style. Next up we cycled to the Academy building. 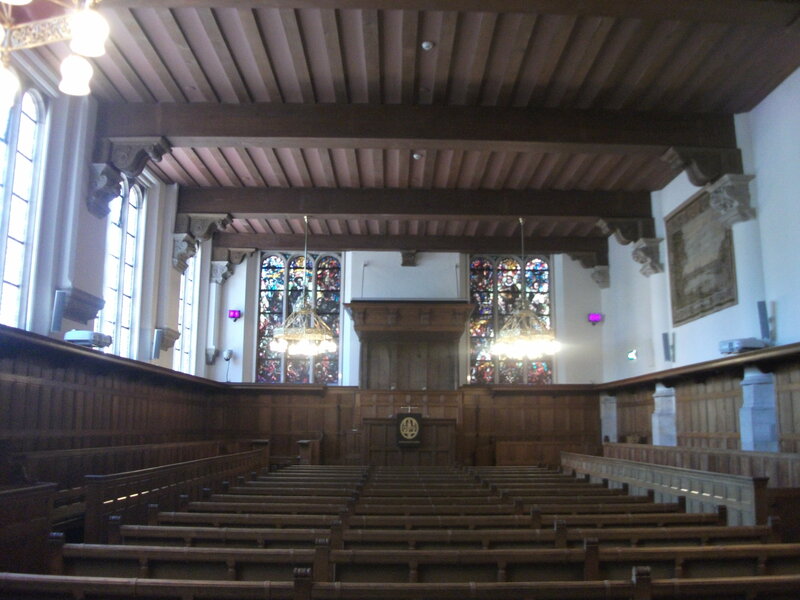 This is the oldest part of the university and where the master’s students defend their thesis and graduate. We had a look at a room that seems to once have been a chapel for the old university. 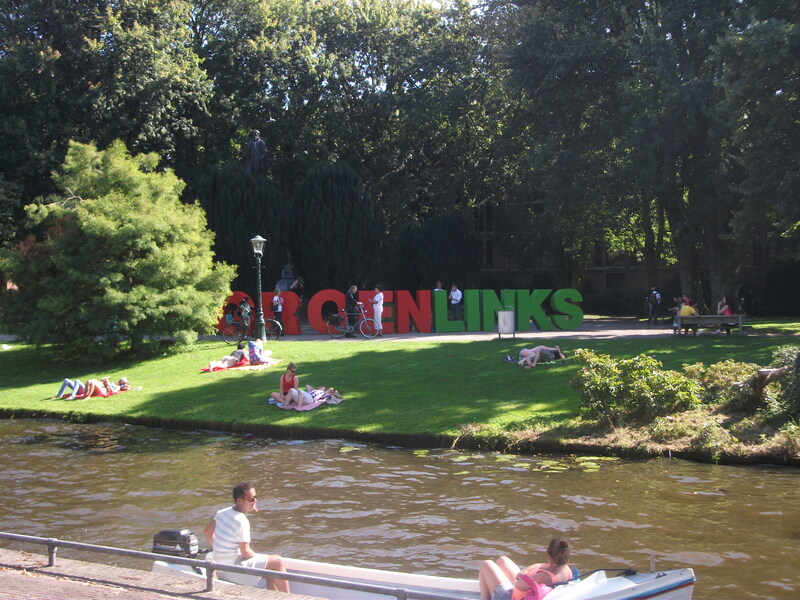 Right next to the Academy building is the Hortus Botanicus (Botanical Garden). Students of Leiden University can go free with their registration cards but it’s something I just never get round to doing. The weather was just wonderful and the gardens were beautiful. 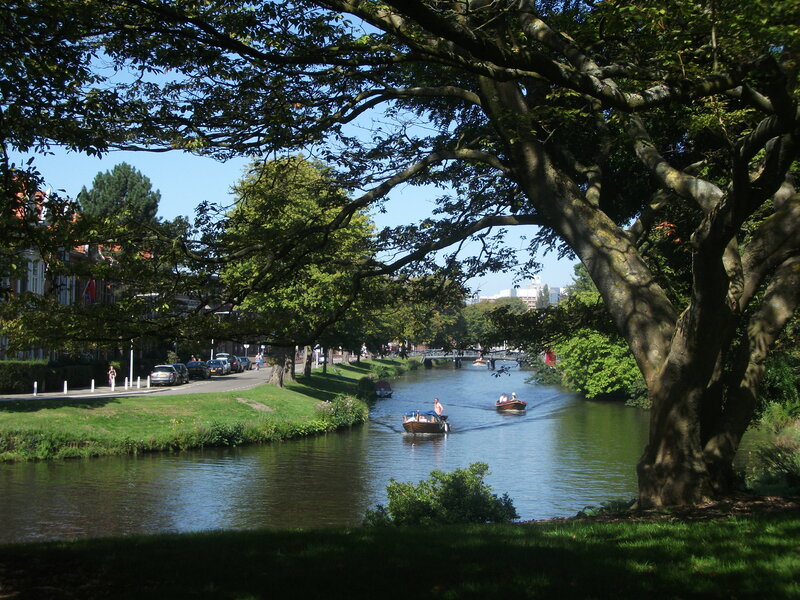 We sat by the canal that leads to the university library, just people watching. Students lay sunbathing whilst reading books and couples sauntered by holding hands, being horribly romantic. Next stop, because the weather was scorchingly hot, was ice cream! 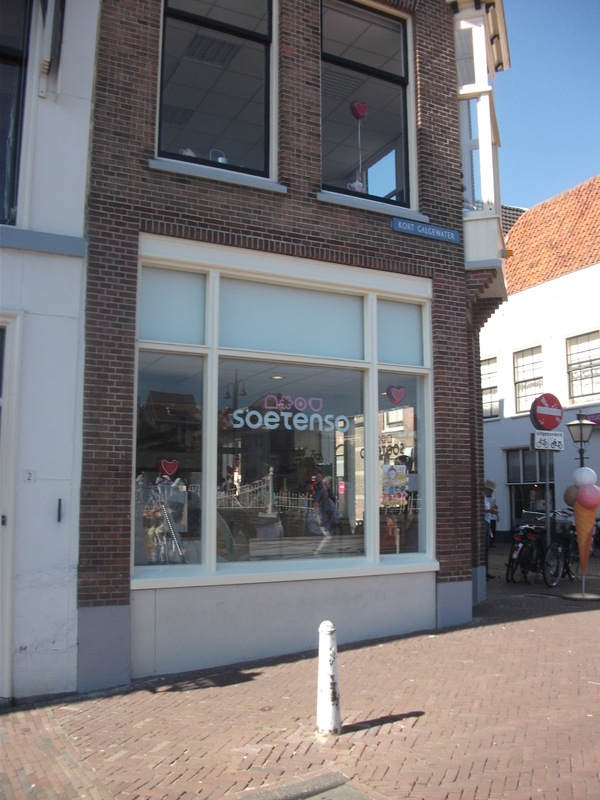 We went to a little place on the corner of the Beestenmarkt that sells organic ice cream called Soetenso. I had a cone of white chocolate ice cream and it was beyond delicious. After that we visited the city hall and had a look at the conference room where the city council meets and does business and where civil marriages are held. The wedding area was surprisingly nice, as most town hall wedding areas are quite dull. 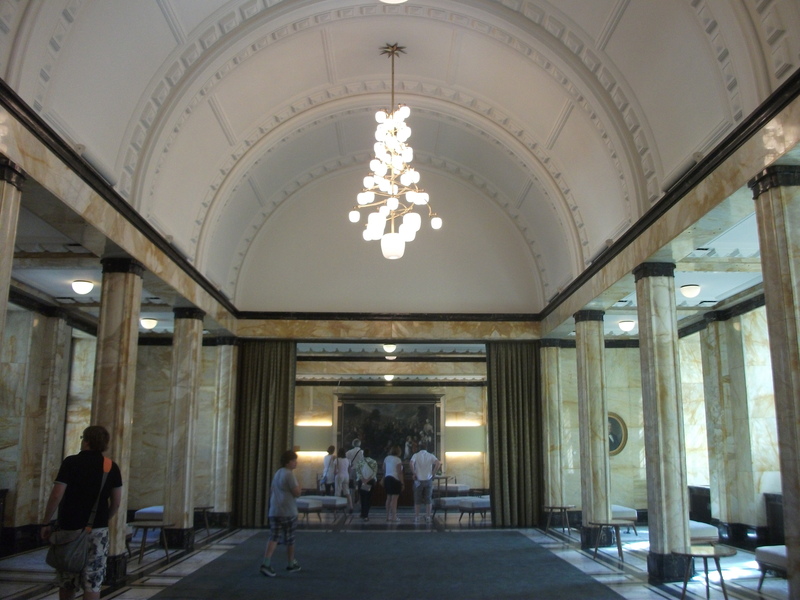 The walls were lined with (probably fake) yellow marble with a big chandelier. Our last stop of the day was the old Leiden synagogue. Having never been into a synagogue before, this monument was by far the most interesting for me. The boys were given skull caps to wear before the three of us could go in which they seemed to enjoy. 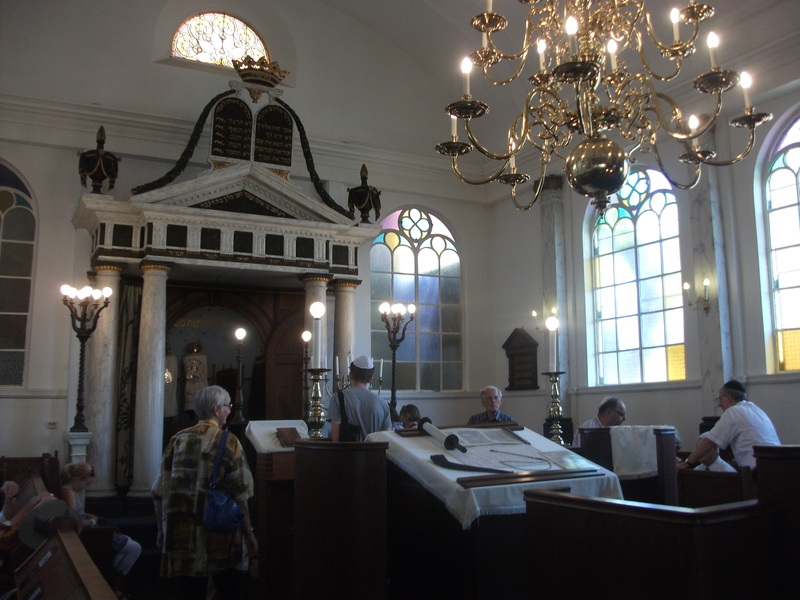 The synagogue dates from 1723 and its mundane exterior belies its beautiful interior. And that was the end of our cultural day around Leiden. If you were there I hope you had a great time and if you missed it, enjoy the pictures! 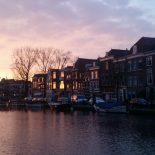 This entry was posted on September 10, 2012 by admin@theleidener in Anna, Culture.